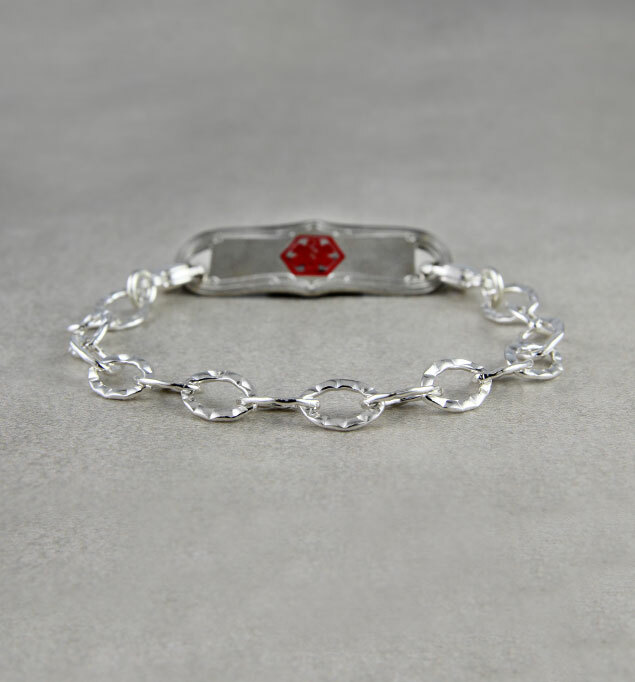 This hammered-finish, sterling silver medical ID bracelet has a classic, timeless look. Pair it with any custom-engraved Lauren’s Hope medical ID tag for safety that never goes out of style. This bracelet is suitable for everyday use including hand washing and bathing.